Stressed out dealing with new responsibilities? These are some of the earliest stress management tips I learned. Joining the workforce brings with it changes to your previous lifestyle be it in high school or college. You learn new things and you deal with new people. Couple this with an innate enthusiasm and energy a career newbie brings to work, you are sure to go through some stressful periods. The truth is, some of the stress that you deal with can be avoided. If you frame your thoughts differently, then you may not even have to deal with stress. It doesn’t even arise. My bosses told me these simple stress management tips when I was a freshie. I tried them and they worked for me. Today, I teach these to my junior staff. There will be colleagues who will be difficult with you. Especially when you are new in the company and learning the ropes. I guess a new person is just easier to pick on. You are new, you lack information, and you are brushing up on your skills and knowledge, so the more senior ones 'bully' you. In an illogical manner, they think that makes them look more competent. As a fresh account executive I was made fun of when I make mistakes. I used to get so stressed up it showed when I spoke to my boss. On one occasion, out of anger I told her "One day, I will get even." Her advise to me was, "You know the best way to get even? Get better." It couldn't be truer. To get even, you focus on the negative. You quite possibly even plot how to get even. But getting better? It focuses on you. It concentrates on improving yourself and when you are strong with your skills and are competent, no one will ever 'bully' you again. Focus on getting better and the stress will melt away. Practice this stress management tip and find new positive energy. 2. An Honor Or A Horror? It is said that the reward to doing good work is more work. Seems weird but it is true. When you develop a certain level of competency your bosses trust you more and you are likely to get more projects. 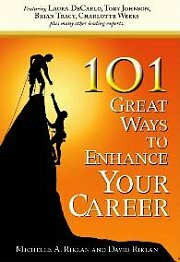 I have seen it often when a newbie at pursuing career success gets additional work - they get horrified. They get so stressed out as if they will be haunted by a pile of work for the rest of their working lives. They start thinking if they are being exploited, or if people are conspiring against them, or if this is common in the industry. While you need to be cautious of these, you need not be stressed out thinking about it. Do not be horrified. Be honored. Know that you are being cherished and given the opportunity to shine. Focus on the task and do your best. This stress management tip is about looking for the positive in more work. When you concentrate on the opportunity, you see limitless boundaries to shine. Do you find yourself being stubborn at tackling the task at hand the way you feel is best? As a career newbie, you are full of energy. You want to contribute. But this sense of zeal to contribute can sometimes blind you to other ways of doing things. The 'blindness' from over zealousness will cause stress. When your thoughts and ideas are not accepted, do not stress out. No one is out conspiring against you. You are new, your ideas may be good but you may lack experience. Remind yourself, there is more than one way of doing things. Sit back and learn. In the long run, you will build a repertoire of skills you can use. If you start to stress yourself you will be too inattentive to learn new ways. This stress management tip is about "emptying your glass of water so others may offer you a fresh glass." Practice these stress management tips and it will help you cope well in your career. Stressed out dealing with new responsibilities? Here are the simplest stress management tips to use.